We can't wait to Instagram it! Pantone may have introduced a new color this year, but it looks like millennial pink (or Rose Quartz) is here to stay. The world's largest cocoa processor, Barry Callebaut AG, just came out with a new natural chocolate color and it looks like it was made for us. For a little over 80 years, we've only ever had milk, dark, and white chocolate as the only "natural" options. 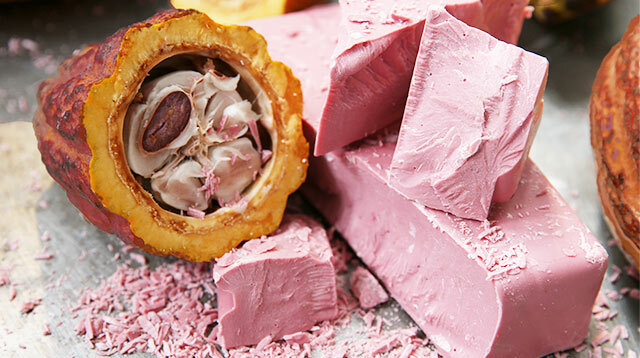 Now we have this gorgeous millennial pink chocolate (although they prefer to call it "ruby"). In case you're wondering, it has a fruity, berry taste that's "sour yet sweet." Barry Callebaut is a major producer for big name brands like Hershey Co. and Cadbury. 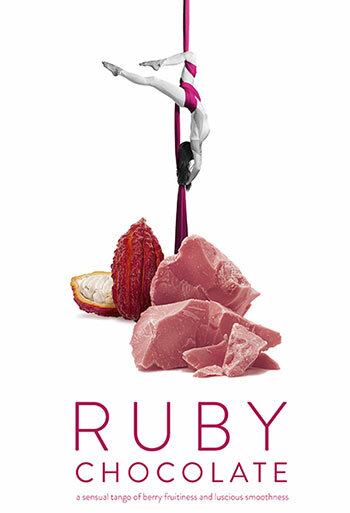 CEO Antoine de Saint-Affrique shared, "It's natural, it's colorful, it's hedonistic, there's an indulgence aspect to it, but it keeps the authenticity of chocolate. It has a nice balance that speaks a lot to millennials." 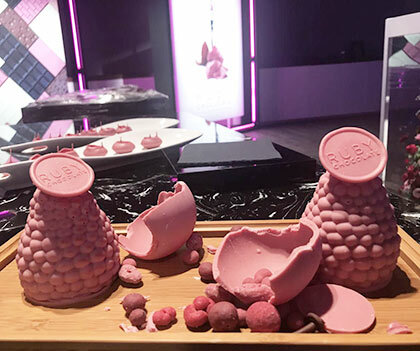 They've been developing ruby chocolate for around 13 years, and the beans used to make ruby chocolate come from the Ivory Coast, Ecuador, and Brazil. But what's a little weird to me is that apparently, "the unusual color comes from the powder extracted during processing," NOT berries. Whatever that means. No hate, though. I'm pretty sure I'll still be buying these babies come Valentine's Day.